The U.S. Senate has approved popular encrypted messaging app Signal for official use by staffers in the chamber, it was revealed yesterday (via ZDNet). The news came in a letter sent on Tuesday by Senator Ron Wyden (D-OR), known to be a staunch privacy advocate, in which he underlined his belief that "backdoor-free" encryption should be embraced by the state at all levels rather than something the government should fear. I have long argued that strong, backdoor-free encryption is an important cybersecurity technology that the government should be embracing, not seeking to regulate or outlaw. My own Senate website, which has used HTTPS by default since 2015, was the first Senate website to do so. With the transition to default HTTPS for all of the other Senate websites and the recent announcement by your office that the end-to-end encrypted messaging app Signal is approved for Senate staff use, I am happy to see that you too recognize the important defensive cybersecurity role that encryption can play. 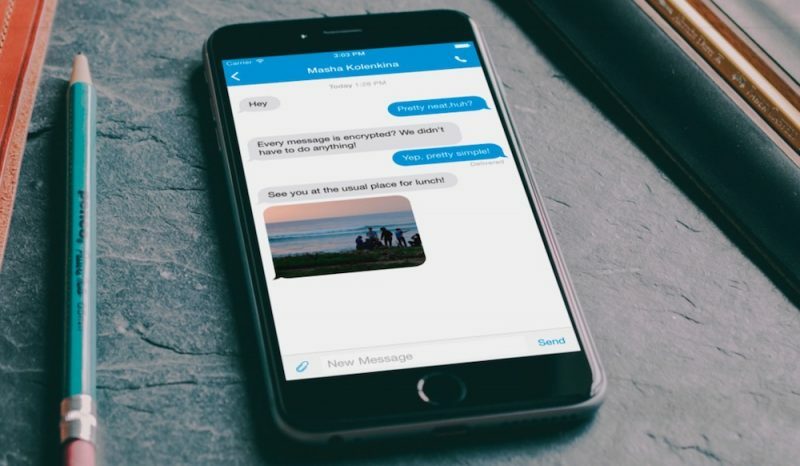 Signal by Open Whisper Systems is widely considered by security experts to be the most secure mobile messaging platform on iOS and Android, due to features like end-to-end encryption of text, picture, and video messages, support for private calling, and a lack of separate logins. Members of Congress are for the most part exempt from record-keeping laws, so long as encrypted communications are not "historically valuable", or do not include committee documents. However, workers of the federal government and those who work directly with the president are governed by federal and presidential record-keeping laws. Indeed, communications over encrypted apps may fall foul of the Presidential Records Act, which requires staff to keep records of those conversations. In January, The Wall Street Journal reported that political aides close to the president had been using Signal, but the White House declined to comment on whether the Trump administration has set up data retention policies for its encrypted messaging use. Last year, Apple was embroiled in a public dispute with the FBI over a request to create a backdoor into iPhone software so that it could unlock the phone of the San Bernardino shooter. Apple refused to comply with the request, claiming that the code would lead to weaker smartphone encryption and inevitably get into the wrong hands. Eventually the FBI backed down in its request and resorted to third-party hacking tools, but throughout the case, Apple CEO Tim Cook remained adamant on the company's continuing stance for user privacy, calling the FBI's request for entering an iPhone "the software equivalent of cancer". I like Signal, it's a good app. I don't buy the couple posters' suspicions above me that think this means they've been compromised, the organization seems committed to privacy. Rather, I applaud Senator Wyden's effort as I think he's setting the stage for any future actions to restrict end-to-end encryption by claiming hypocrisy given that the senate now approved it for themselves. This is a good thing. This is insane. Citizens deserve privacy. Not elected officials. Everything a a representative says while performing their job should be documented and archived. "Approved" meaning they are in cahoots with signal and have a backdoor. It got audited AND their code is open source for everyone to see....what else do you want them to do? In other words they found a way in? It's hard not to be cynical, especially in this political climate. So I'm hoping thisisnotmyname's point of view is the right one. How is government communicating in secret a good thing, again? Senators need a secure means of communication BUT they also require one that leaves a record of conversations. Closed door conversations aren't something typically promoted within our government (which is why the moves by the current administration have raised so many eyebrows). There are plenty of good guys in Congress, and Sen. Wyden is one of them. There's no reason to take this announcement as anything other than what it is. That said, while encrypted communication is important, there needs to be a secure way to balance encryption with various legal recordkeeping requirements (including those not at issue here). There is a real opportunity for innovation in this space. How then can conversations using this means be acquired from a freedom of information request in years to come? I think this makes corrupt politics less risky and more likely.